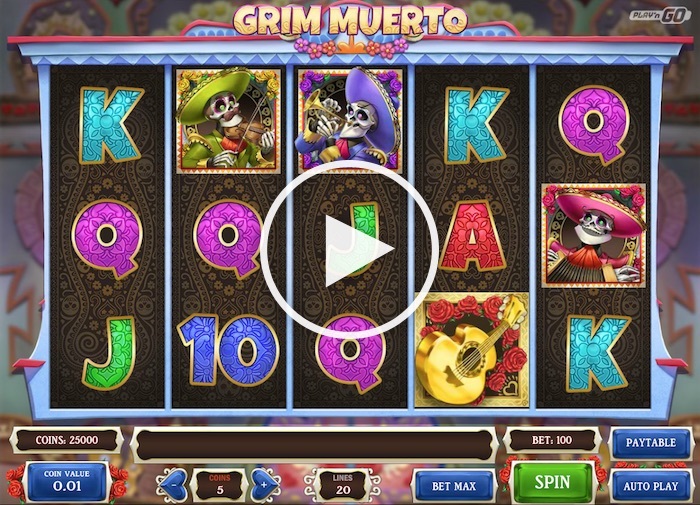 Go on – have a shot at guessing what the Grim Muerto slot is all about. One of the latest online slots for UK players, this online game has a Spanish theme. More accurately, it invites you to celebrate the Day of the Dead. Suffice to say; this is a stunning game that could be a firm favourite with Play’N Go fans very soon. 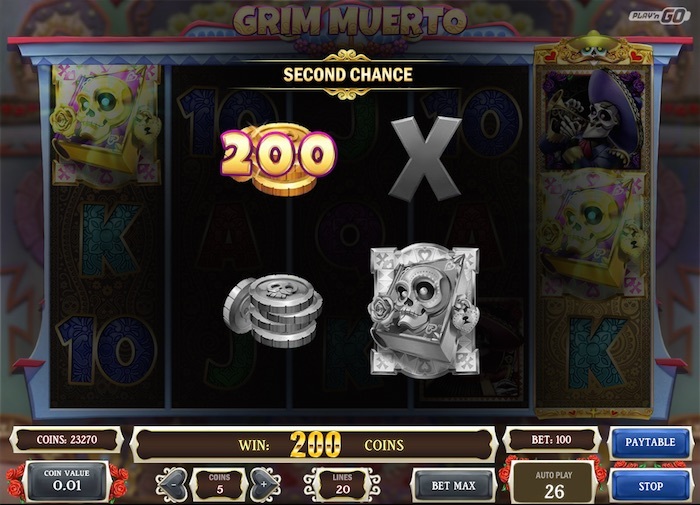 The Grim Muerto slot from Play’N Go is a 5 x 3 slot game that is well-suited to both mobile and desktop devices. The detail of the game is brilliant – it lifts the game above many others online. However, it also offers some unique capabilities, and we think these makeup for the fact the top prize is a lot lower for this game than for some of its competitors. Amazing, sharp, colourful, eyebrow-raising… we could say a lot about the graphics in Grim Muerto, and we’d be correct on all counts if those comments were positive in every case. Spend a moment appreciating the hard work that has gone into the design before you dive in and play this slot. There’s not much of a background in evidence, but it doesn’t matter when the symbols and detailing are so sharp in every respect. Have a few free spins on a free-to-play demo game so you can see how smooth it is. The paytable is indicated at the bottom right. The final page reveals the standard A, K and Q-style symbols and their values, not to mention how the paylines stack up. The page before that reveals the four members of the skeletal Mariachi band – a bit scary-looking, to be sure, but they seem quite pleasant. Ahem. Anyway, they are worth between 350 and 700x your bet if you can line up five matching Mariachi skeletons on a line. Whoever would have thought you’d spend your time looking for skeletons? Let’s begin with the wild, which in this game is a guitar owned by a member of the band. Surrounded by roses but it’s not a prickly customer – not least because five of them will give you the 1,000-coin prize promised as the maximum here. Just one can stand in for something other than the scatter though, and this can trigger a prize of another kind that you might otherwise have missed out on. The first feature to be aware of is the Marco Siniestro perk. Every single spin you make sees one reel highlighted. If a wild guitar should land on that reel, it will then expand to fill it. This is good in itself, but it gets better if you trigger the free spins feature (more about that in a second). In this case, anywhere from two to all five reels will be highlighted. What’s more, the wild and the extra wild symbols can expand in this case. Well, we know what the wild looks like. If you are in for those free spins, the extra wild will be one of the Mariachi band members. This will then act in the same manner a typical wild would. You might wonder how to get those free spins in the first place. Well, by getting three Books, which appear with a skeletal head and a lock. You get 10 freebies when you find three Books. Find three candles during this round, and you get another 10 free spins. Just one candle brings another three free spins, while two will bring six free spins. Finally, the Second Chance feature will unlock with two scattered Books. All four Mariachi band members will appear. Choose one to reveal a prize for getting this far. If you find the third scattered Book, you get the free spins feature. 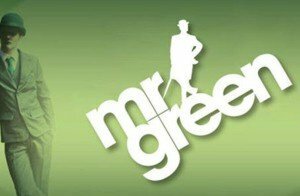 The game has a reasonably good top prize for those who are keen to play real money slots. If you get five guitars on one activated payline, you can get 1,000x your bet. Since the top line bet is £5, you can see this might be a nice payout. Let’s look at the betting options a little more closely for the Grim Muerto Play’N Go slot too. The smallest line bet is one penny, but this can be increased through a number of coin values to £1 at most. You can also choose to play between one and five coins per line, hence the £5-line top bet. Remember though; you do have to play all 20 lines, making the smallest overall bet 20p (still very affordable). The game does also offer a nice return-to-player average of 96%, which is above-average for this style of game. What do you think of the Grim Muerto slot? Does it rank among the best Play’N Go slots around today? We think it does, and the design alone makes it a must-see and must-play game. This 20 pay line payout party is very much alive. Enjoy!